Award Winners at the 2nd DMA-Thomas Assessments National Award for Talent Management felicitation ceremony. 4th HR Conclave on “Changing Role of HR as Capacity Builder and Change Champion” was culminated with the 2nd DMA- Thomas Assessments National Award for Excellence in Talent Management, where the distinguished HR Professionals and organizations were felicitated for the footprints that they have created in the area of HR & Talent Management Out of the final 45 shortlisted companies the Awards were presented to the winners including Micormax, Viom Networks, Fieserv, JK Tyres, CMC, MTS, Fresenius Kabi, Jubliant Life Sciences, Oss Cube, PNB Housing Finance, Mahindra Finance, NIIT, Maruti and JCB. Dr. Saugata Mitra, Chief People Officer, Mother Dairy and Mr. Rohit Agarwal, Vice President, NIIT got individual award for excellence in the areas of Talent Management. The Award ceremony was attended by large number of HR professionals both from the PSU and Private sector and rated as one of the best HR programme. DMA organized a niche HR Conclave on “Unleashing Potential Through Competency Based Talent Assessment and Development” on 5th July 2013 at The Grand, Vasant Kunj, New Delhi. 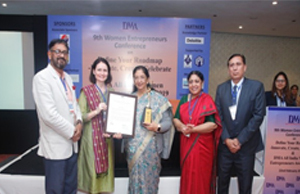 The Conclave was followed by the 1st DMA-Thomas Assessments National Award for Talent Management which are the definitive awards celebrating the spirit of excellence in HR in India. 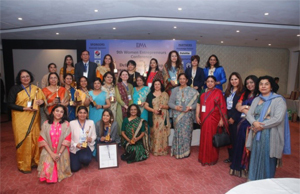 In the Award function, distinguished HR Professionals and organizations were felicitated for the footprints they have created in the area of HR. These leaders have been selected by a team of eminent professionals specifically identified for this purpose. The recipients of the awards CMC Ltd., J K Tyres & Industries, Viom Networks, Petronet LNG Ltd., Jindal Steel & Power Ltd. (JSPL), Jindal Stainless Ltd., Zee Entertainment & Enterprises Ltd. and JCB India. Mr. Rajiv Kapoor, CPO, Fortis Healthcare and Mr. Sushil Baveja, Head-Corporate HR, DSCL were felicitated individually for their contribution in the field of HR. 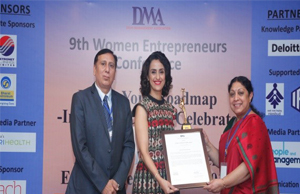 DMA Erehwon Award is one of the flagship events organised every year by Delhi Management Asssociation. 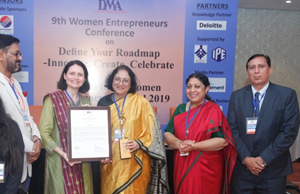 DMA joined hands with Erehwon Consulting to organise the 4th Annual Award to recognize and reward corporates who have initiated Innovative HR Practices resulting into better business results. A record no of 82 initiatives from 42 corporate were received as entries to compete for the awards. Out of these, 8 companies were short listed. These companies showcased their achievements in the presence of a high profile jury chaired by Ms Anu Aga of Thermax. The function held on November 17, 2006 at hotel Le Meridien was attended by over 200 senior HR professionals. The first prize was awarded to Gillette for their unique initiative in placement of their workforce after their acquisition by Procter & Gamble. The runners up awards were won by Canon, JSW Steel and Shoppers’stop. The flagship event was coordinated by Mr. Sushil Baveja & Ms Celine George, Chairperson/ Co-chairperson of DMA Human Capital Committee. The jury comprised of Ms. Anu Aga, Mr. Ranjan Kapur, Mr. Rakesh Pandey and Mr. Ravi Boothalingam. First Prize of Rs. 15000/ to Mr. P. T. Joseph, S. J. for his book EQ and Leadership by Tata McGraw Hill. Second Prize of Rs. 10000/ to Mr. V. Nilakant and Mr. S Ramanarayan for their book Change Management bySage Publications. Third Prize of Rs. 5000/ to Mr. M. G. Parmeswaran for his book Building Brand Value by Tata McGraw Hill. Shriram Award was instituted in 1969 with a view to recognize original contribution on Management Topics.